When Donna Masusock and her family offered to foster a pit bull named Laila while her owner, Petty Officer Second Class Baez, is deployed in the Middle East for a year, they knew that the sweet pup might be sad and miss her mommy. 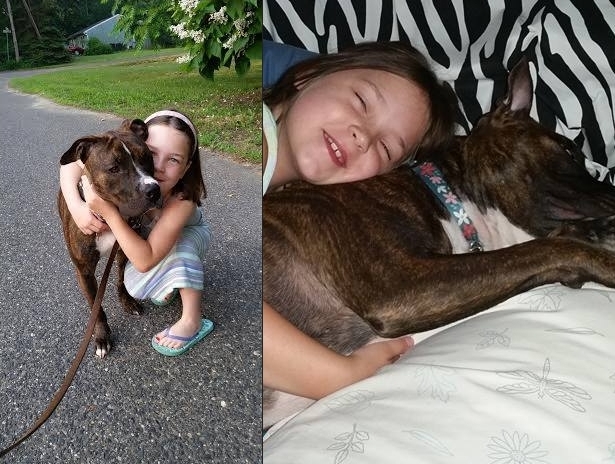 So Donna's daughter, Anna, makes sure to cover her with lots of kisses and hugs (after all, we all know children and dogs have a special bond). When Laila is sad, Anna even sings to her to make her feel better. Donna recently uploaded a video of Anna singing "You Are My Sunshine" while locked in an embrace with Laila on Facebook, and the purity and innocence of her angelic voice and kind intentions are guaranteed to soothe anyone's soul. 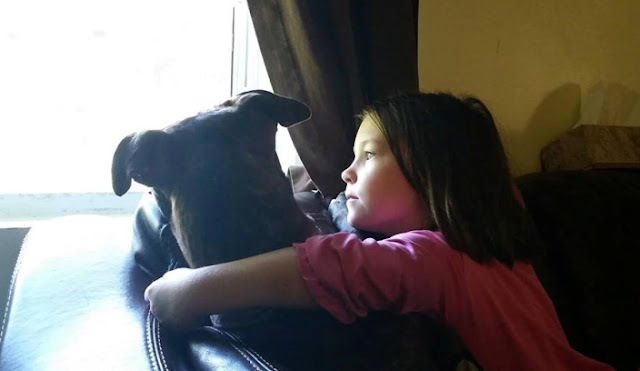 Responses to "Little Girl Singing Her Rescue Dog to Sleep Will Make You Happy Cry"